The death march with cocktails begins anew! 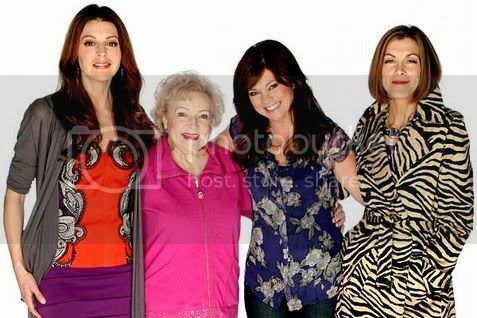 The Winter 2011 TCA Press Tour kicked off on January 5th with the MTV family of networks offering up panels from TV Land (“Retired at 35” and “Hot in Cleveland”), CMT (“Working Class”), Spike (“Coal”), and Comedy Central (“Onion SportsDome” and “Tosh.0”). From there, it was on to a working lunch, where we learned of the TV Guide Channel’s new reality series, “The Nail Files,” while indulging in a grilled chicken salad and, to ruin any possible health benefits, followed it with a cupcake. With our bellies full, we moved on to the National Geographic sessions: “Beast Hunter,” “Explorer,” “Alien Invasion” and “Area 51 Declassified,” and “WILD on Snakes.” Next, we got a look at two new TV One shows, “Love That Girl!” and “Way Black When,” took a gander of Peter Lik’s new series for The Weather Channel, and the whole thing wrapped up with ESPN’s presentations for “Year of the Quarterback” and the BCS title game. Also, somewhere in between all of those panels, I had a chance to ask Betty White a couple of questions, share an interview with Jane Leeves, and do one-on-ones with Wendie Malick, Henry Rollins, Phil Morris, and the anchors and executive producer of “Onion SportsDome.” Arguably my most impressive accomplishment, however, was talking to Jerry Rice, asking a question provided to me by David Medsker (and tightened up slightly by Anthony Stalter), and having him seemingly believe that I know something about sports when I absolutely do not. I’ll be revisiting some of the individual panels on a case-by-case basis as time allows, but in the meantime, here are the top 10 quotes from Day 1 of the tour. Hope you enjoy them, and see you after Day 2!